Muscat's Insomniac: "Is Tolstoy a man or a woman?" My English prof asked! I'm sorry, but aren't you paying for this class? Then you have a right to be upset about the service...in this case an English professor who hasn't a clue about Tolstoy or anything else probably. Yes, students have a place (I used to teach University) but teachers are being paid because YOU are in their class. Of course, I don't know how things work where you live...but where I'm from, I would totally file a formal complaint with the department head. As long as people keep quiet, this teacher will never change...he has no motivation for change - he gets paid, why bother learning about what you are teaching? He needs to NOT get paid. Exactly, that's what I wanted to do...if it was not my dad who stopped me midway. And yes, I pay the college dearly...and he gets paid more dearly for what he fu*ks around! They used to have a feedback session back in my college and it sure reached the department head.Dont even think about approaching the hod urself it is india...approach the management as a group. I couldnt fininsh war and peace could you ? But the college is a new one, they aren't yet that organised for all those, but I will try and enquire. 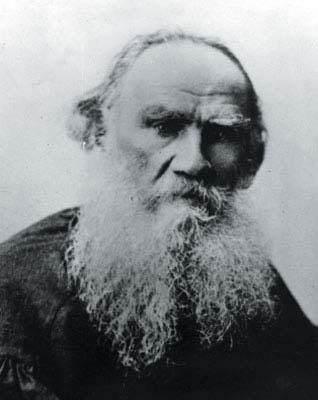 I read Tolstoy's short-stories and they were awesome, the one I liked was named "What men live by?" Oh...how much I wish it was so! But somehow, he had no clue what he was teaching, or else he would have read in the text book...which clearly referred of Tolstoy in "About the Author" section...but it seemed he never read it!!! publish that you just made some days ago? Any sure? Thanks , I have recently been searching for info about this subject for a while and yours is the best I have discovered till now. like to shoot you an email. I've got some recommendations for your blog you might be interested in hearing. Either way, great blog and I look forward to seeing it grow over time. If you would like to grow your experience simply keep visiting this website and be updated with the latest gossip posted here. obviously like your website but you have to take a look at the spelling on several of your posts. tell the reality however I'll certainly come back again. Very helpful info particularly the closing part :) I handle such information much. I'll bookmark your weblog and check once more right here frequently. I'm fairly certain I'll be informed many new stuff right here! Best of luck for the next! Thanks , I have just been looking for info approximately this topic for ages and yours is the best I've found out so far. But, what concerning the bottom line? Are you positive about the source? Generally I don't read article on blogs, however I wish to say that this write-up very compelled me to check out and do it! Your writing taste has been amazed me. Thank you, quite great post. Hello! I've been reading your web site for a while now and finally got the courage to go ahead and give you a shout out from New Caney Texas! Just wanted to say keep up the fantastic work! Excellent post. I was checking continuously this blog and I'm impressed! Very helpful info specifically the ultimate section :) I take care of such information a lot. I used to be looking for this certain information for a very long time. Thanks and good luck.